Few tourists come to Bosnia, and those who do usually spend their time in Sarajevo or Mostar on a day trip from Croatia. Fewer escape the touristy areas and miss out on the abandoned socialist monuments and Yugoslav revolutionary Tito’s recently discovered bunker. Sarajevo hosted the 1984 Winter Olympics, which made the world aware Bosnia existed. The bobsled track at 1,300 metres (4,263 feet) became a landmark and was used in later international events. 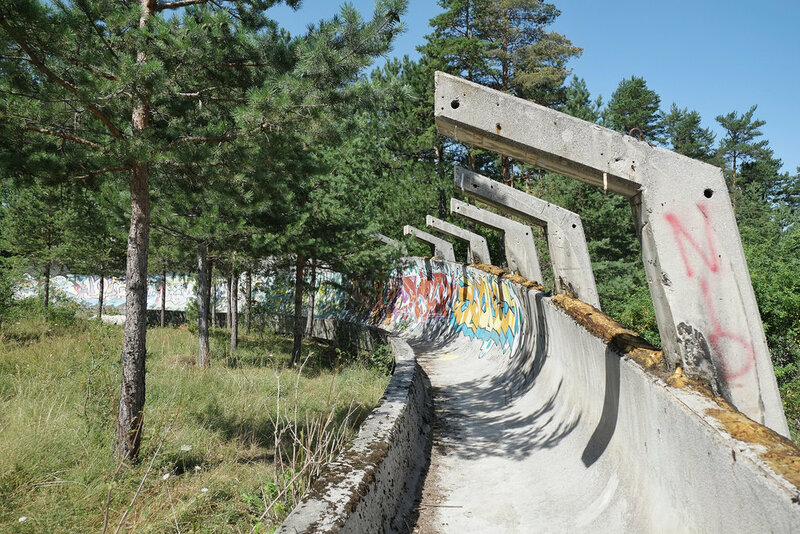 Sarajevo’s bobsleigh track was its claim to fame. Shooters hid in the twists and curves to fire into the city. Others shot back. Today, this dilapidated structure is now full of bulletholes and graffiti. Jajce, the former capital of the Bosnian Kingdom in the 14th century, is a town in the Republika Srpska in Central Bosnia. Fortified city walls surround a beautiful old town. Tourists come to see the 20-metre (66-foot) waterfall at the Pliva and Vrbas River’s confluence and the famous Pliva Lake. Hardly anyone ventures away from the waterfall and sees the 19 identical wooden watermills, once used by Austro-Hungarians to grind flour. 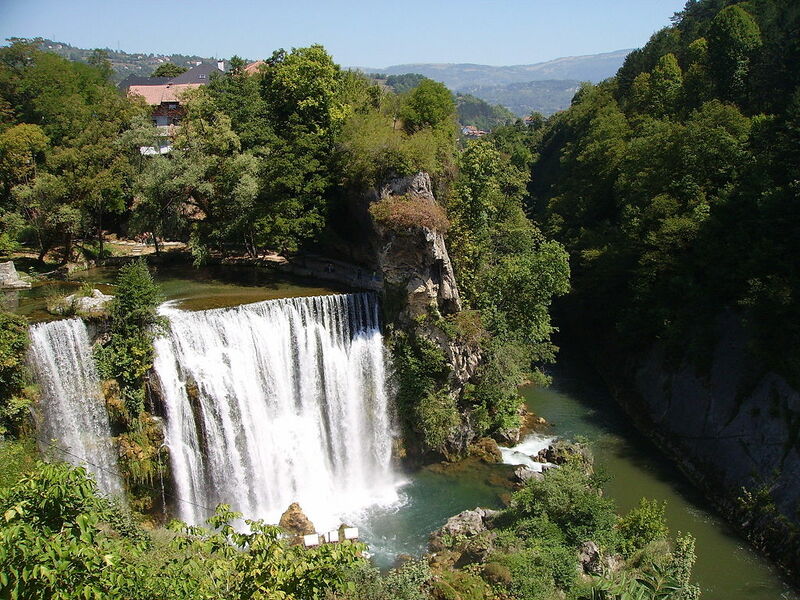 In 2003, residents made a surprising discovery in Konjic, a small Herzegovinian town. Josip Broz Tito, it turns out, built a nuclear bunker at the base of Mount Zlatar, which could hold up to 350 high–ranking officials for six months. The shelter goes 203 metres (663 feet) into the mountain and has a maximum thickness of 219 metres (919 feet). 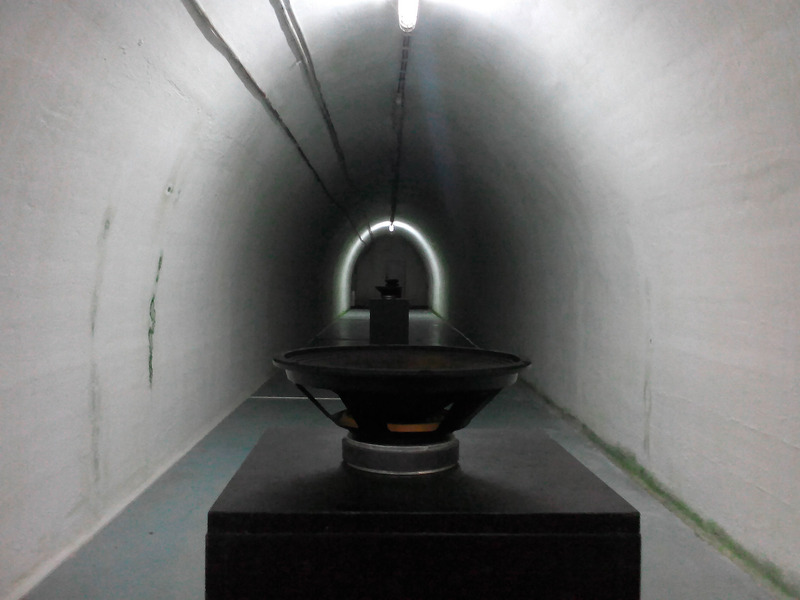 Now, it’s a contemporary art museum with exhibits lining the chambers and tunnels. Artefacts, such as old telephones and equipment, remain. Tourists visit Visoko for one thing: The Bosnian Pyramids. But the town itself has a nice old Bazaar and gives off the vibes of a traditional Bosnian village. History is everywhere in the buildings lining the streets or the ruinous fort overlooking the valleys at the top of the Pyramid of the Sun. Thousands lost their lives during the Siege of Sarajevo. 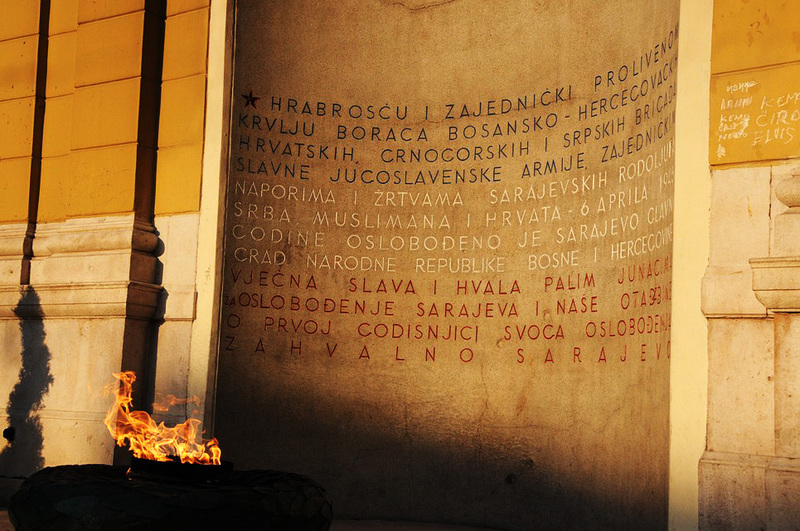 Commemorative memorials fill the city, and an eternal flame burns on Ferhadija Street. Regular events to remember the conflict’s victims take place throughout the year. Attend one if you can. Or just lay flowers and spare a thought to the Sarajevians you see around you who lived through the Siege and, more likely than not, lost someone. One of the legacies of Yugoslavia in the number of socialist-style monuments. Kozara Memorial Monument’s segmented and ugly concrete structure rises 33 metres (108 feet) to honour the 9,921 Partisans who died during WW2. An army of 40,000 Nazis and Croatian forces surrounded Banja Luka in spring 1942. Partisans broke the siege a few months later. Thousands lost their lives, got wounded or ended up in concentration camps. 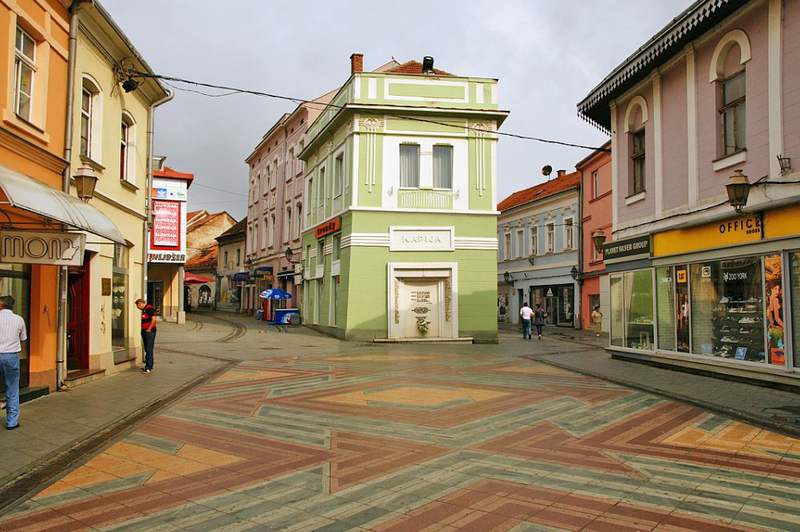 Tuzla, the third largest city in northeast Bosnia, doesn’t get many visitors. And the vast majority are locals or those passing between Sarajevo and Belgrade. Tuzla’s highlights include the Pannonica Lake, Turalibey Mosque with its pyramid-shaped roof and a photographer’s favourite: Dzindic Mosque. Locals also love Panonsko Jezero, the city’s central lake. Address: Tuzla, Republika Srpska, Bosnia and Herzegovina. Colina Kapa: Once a military fortress, then the first astronomical observatory in Bosnia, and now in ruins near Sarajevo on Mount Trebevic. The former military post transformed into a haven for scientists taking full advantage of its location for stargazing (and the fortress for living quarters). As with most things, damage during the Siege left it abandoned. Only the crumbling walls remain of this spooky building. Another Yugoslavian memorial, this time in Mostar. A total of 560 Partisan soldiers rest here. In 1965, Bogdan Bogdanovic had an idea, which was either ingenious or crazy depending on who you ask. He designed some weird and politically abstract memorial from the Yugoslav’s favourite material, which you can probably guess is concrete. Gravestones have different shapes, almost like jigsaw pieces. Large structures that may resemble the sun or could be mechanical cogs surround the cemetery. Yugoslavia fell in the 1990s, and Bosnia became independent. Socialist patriotism died, and the cemetery lost its significance. Now it’s full of graffiti and litter. Did you know Bosnia and Herzegovina isn’t just Bosnia and Herzegovina? The Republika Srpska takes up almost half the landmass, and then there’s tiny Brcko District in the far northeast. Brcko gets hardly any visitors. But this small city overlooking the Sava River with Croatia to the north and Serbia to the east is about as non-touristy as it gets. 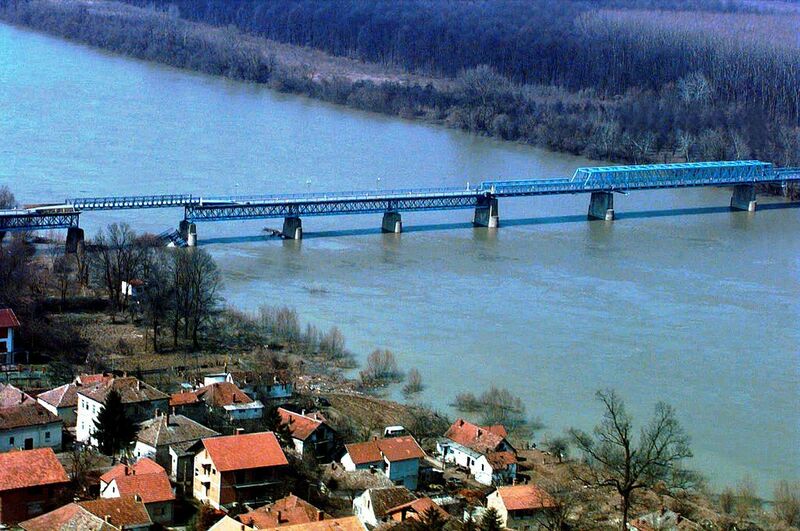 Unlike other parts of the country, Brcko isn’t as segregated. Bosniaks, Serbs and Croats live together. Highlights include the orange and yellow government building (Gradska Vijecnica Brcko), Mladhin Central Square, filled with Austrian architecture, and Brcko’s oldest mosque: Atik-Savska dzamija. Address: Brčko, Bosnia and Herzegovina. Every first Sunday in August, a strange tradition takes place in Grmeč, a mountainous region in northwest Bosnia. For 200 years, two bulls go into a paddock and fight. Bulls use their natural instincts to show dominance. The weaker one backs down and flees. Thousands of spectators watch the event and enjoy the festivities with BBQs and beer. Address: Grmec, Bosnia and Herzegovina.